Raghwa Gopal is the newly appointed President and chief executive officer for Innovate BC in Canada. The 60-year-old who was born and bred in Kasavu, Nausori left for Canada 39 years ago. Today, he lives a comfortable life in Kelowna, Canada’s British Columbia province, with his wife and two children. He is well-regarded and respected for the contribution he’s made in modern technology and education. His appointment would be effective from February 15, 2019. Innovate BC is a Crown Agency of the Province of British Columbia, Canada, which funds entrepreneurial support programmes in the province. It focuses on the support of technology startups and entrepreneurs through programmes, sponsorship and competitions that facilitate technology commercialisation. “I am thrilled to be taking on the leadership of Innovate BC at this exciting time for our province’s innovation economy, where technology is everywhere, in every industry, and enhancing lives and creating business value across B.C and globally,” said Mr Gopal. 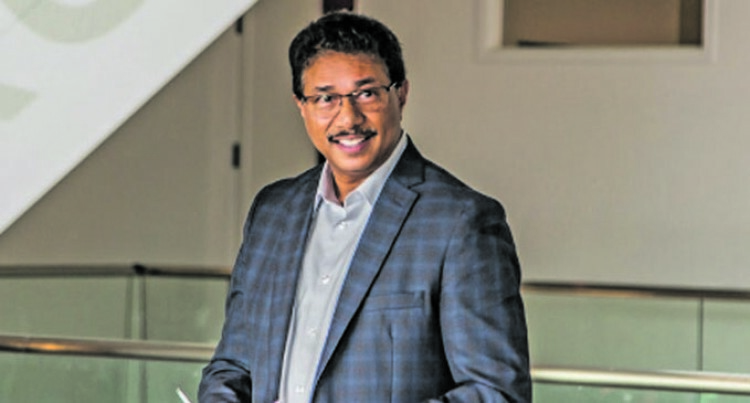 A serial entrepreneur who has extensive experience starting, growing and selling numerous businesses, Mr Gopal joins Innovate BC from Accelerate Okanagan (AO), where he is currently the CEO. Accelerate Okanagan (AO) is a leading business accelerator for tech companies in the startup or growing phases in Kelowna in Canada. Mr Gopal was a graduate of the University of the South Pacific, New Zealand’s Central Institute of Technology in information technology. He also received degrees in computer science from Australia’s Collier MacMillan School.